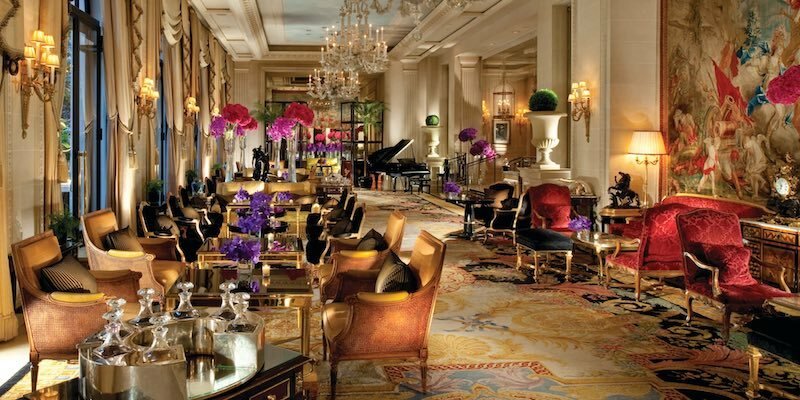 You Asked – Help In Planning A Luxury Paris Vacation? I have never been to Paris before, but I am finally going in December with my wife and our two grown children. I don't want to go in a large tour group, but I'd like to have a great trip for my family. By the way, we'll celebrate our anniversary while we're in Paris. "One of my greatest concern is where to stay, I really would like something really nice, private bathrooms and close to the bus and Metro stations to make it easy to see the city. No idea exactly what places to visit and a really good restaurant for our anniversary dinner (I do not speak French). My idea for New Year's Eve is to go to the Eiffel Tower." "I know the city is divided by arrondissements, but I assume, as in all cities, there are bad and excellent areas to stay. I really would like to stay in an area that we can walk at night and feel safe. I have been reading about temperature and is know is cold, but really how cold it is? "I would like to thank you in advance for all your assistance." Well, that's a lot of questions, and most of them are very good questions. December in Paris is a magical time to visit the city, with plenty of things to do. Please take a look at our December activities calendar. Most first time travelers to Paris do not realize how busy the major monuments and museums are, and how easy it is to get tired and overwhelmed. The best way to get around this is took book small-group tours of the major attractions while planning to visit the smaller attractions on your own. We agree with you on not wanting to be part of a large tour group. However, being part of a VIP small-group tour, that lets you skip the ticket lines, is one of our favorite (and most highly recommended) ways to experience the major monuments & museums. 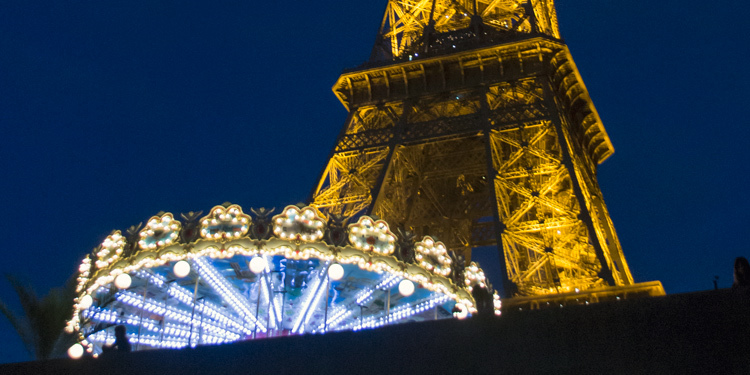 In fact, we just got back from a research trip to Paris and joined many of the tours that we recommend here on our site. Paris is a safe city. We have stayed in most of the arrondissements and have always felt safe, even at night. The only warning we give readers is to be aware of pickpockets in crowded tourist areas, and to avoid street scams. It's easy to do by being sensible; carry your wallet in your front pocket, don't talk to gypsies who approach you, etc. Paris is a compact city, easily walkable, and every part of the city is close to Metro & to bus stations. But it is nice to stay close to the things you want to see. Virtually all of the top hotels are in the center of things. Here are just a few suggestions. Not being able to speak French is not a problem these days. 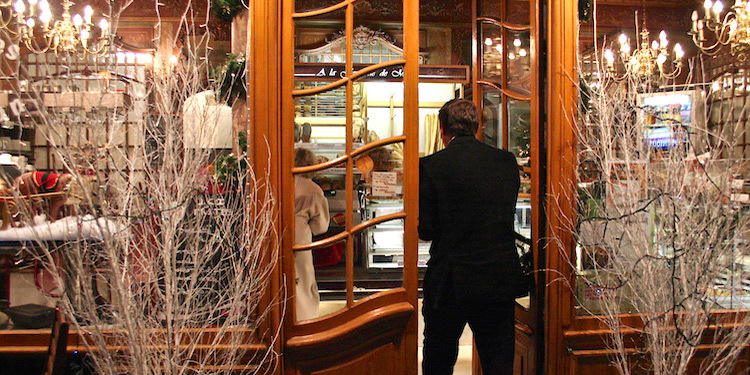 Just be sure to say bonjour when you enter any restaurant or shop, even if you think no one is listening. It's almost guaranteed that the staff will speak English. You said you might want to go to the Eiffel Tower on New Year's Eve. That's doable, since the Tower is open 365 days a year. But, it's going to be very busy and the lines will be long. So be sure to book a tour that gets you ahead of the lines. Check the following list to find out what tours have December 31 availability. Speaking of the Eiffel Tower put us in mind of a restaurant we'd like to recommend for your anniversary dinner. Or even, for that matter, for New Year's Eve dinner. 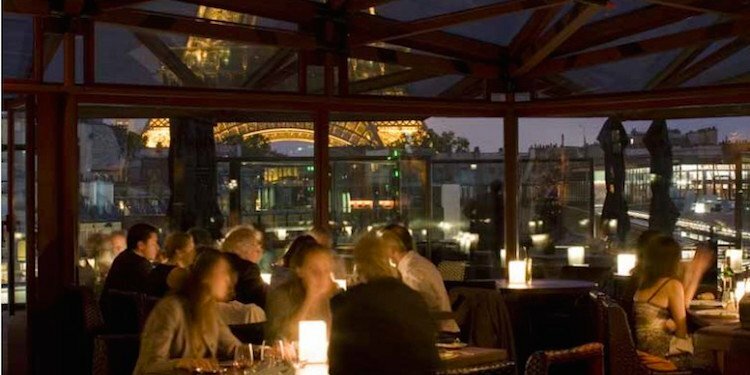 Les Ombres is the restaurant closest to the Eiffel Tower and affords spectacular views of that monument. That great view is assured since Les Ombres occupies the top floor of Musée Branly and the walls an even the roof of the restaurant are all glass. (Since Branly is right on the Seine, you also get great views of the river.) We've dined there several times and have always enjoyed the experience.